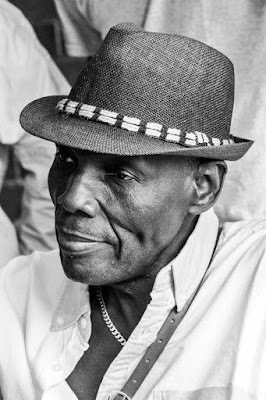 Superstar Oliver “Tuku” Mtukudzi failed to attend the ZBC Coca-Cola winners’ prize-giving ceremony held at a local hotel yesterday in Harare due to an undisclosed illness. Popularly known as Samanyanga, Mtukudzi received the “Veteran Musician Honorary Award” in absentia courtesy of Radio Zimbabwe Coca-Cola Top 50. “Samanyanga failed to be with us today because he is not feeling well. His manager also failed to attend this event because he wanted time with him,” one of the master-of-ceremonies at the event, Patricia Jacob, told fans and musicians who were present at the event. “This is something disturbing, Samanyanga is an icon to all of us and his absence pains me a lot. He is the one who gives us direction and when he is not well, we all feel the pain. I wish him speedy recovery. “Samanyanga ndicho chibaba chedu, he is an icon and his absence at this event pains us. All my prayers to him and his family at this time, I want to encourage Mai Samanyanga inguva yaMwari kana muti unozununguswa,” he said. Efforts to obtain a comment from Mtukudzi’s manager were fruitless as his mobile phone was not reachable by the time of going to print yesterday. South Africa-based gospel musician Reverend Togarepi Chivaviro dominated the Radio Zimbabwe Coca-Cola Top 50 with his song Matishamisa and he received $2 500 while another gospel musicians Admire Nago’s Wandigadza and Mai Respina Patai’s Anokomborera were on second and third positions. “I am very excited that for the first time on Radio Zimbabwe, we had a female artiste in the top three. Congratulations Amai Patai, for defying the odds and showing that female artists are capable. Makorokoto Makuru Amai. “We are excited to see female artist doing well. Coca-Cola is a brand that promotes women empowerment,” Coca-Cola senior brand manager Vee Chibanda said. On the other hand, Enzo Ishall’s Kanjiva dominated ZBC TV Coke Top 50 and he pocketed $2 500 while Jah Prayzah, who was in South Africa, got $2 000 thanks to his Dzamutsana video which was on second position.